BRYAN EATON/Staff photo. 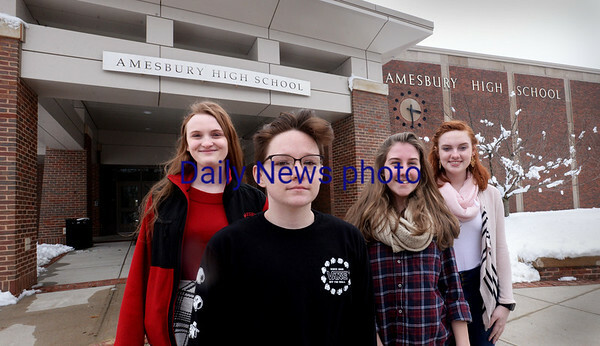 Jordan Wickcard, 17, and friends are leading a walkout at Amesbury High School on Wednesday morning protesting school gun violence. From left, Catherine Bernard, 18, Wickard, Thomasina Glenn, 17, Hannah Rowe, 17.